ROSE GOLD MERCURY IS NEW!!!! Love this! Hint of Pink / Rose and Gold all in one. Just like Rose Gold Jewelry. 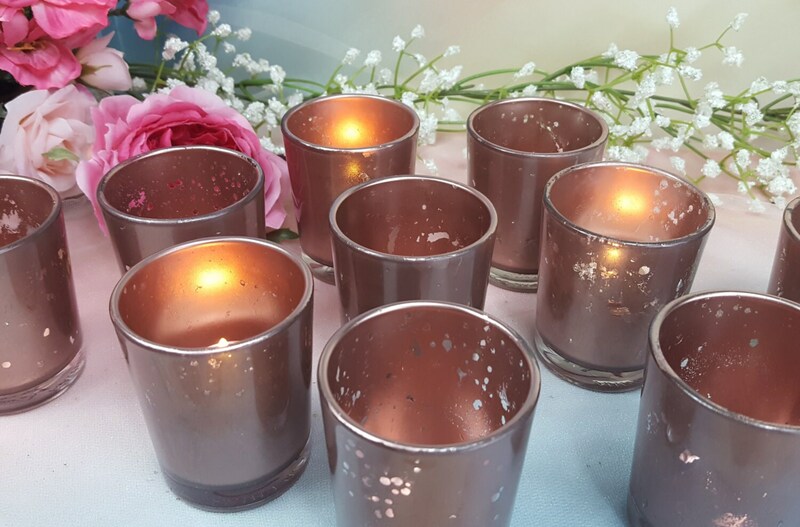 These are a Mercury / Droplet Effect painted on the votive holders.